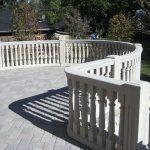 Royal Corinthian manufactures a synthetic stone balustrade system that looks and feels like stone but at a fraction of the cost and weight. We offer 6 standard colors and 3 textures. Most of our rails can span up to 20’ without interruption, which is the longest span in the industry and across all materials. 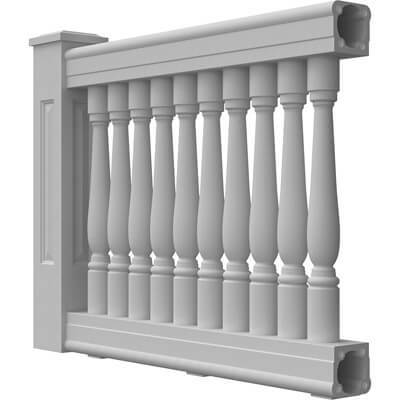 These balustrades exceed structural requirements for both commercial and residential projects. 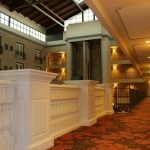 RoyalStone™ balustrades offer the greatest advantage over our other balustrade systems when a pre-finished, low maintenance, structural balustrade is required with longer rail spans. 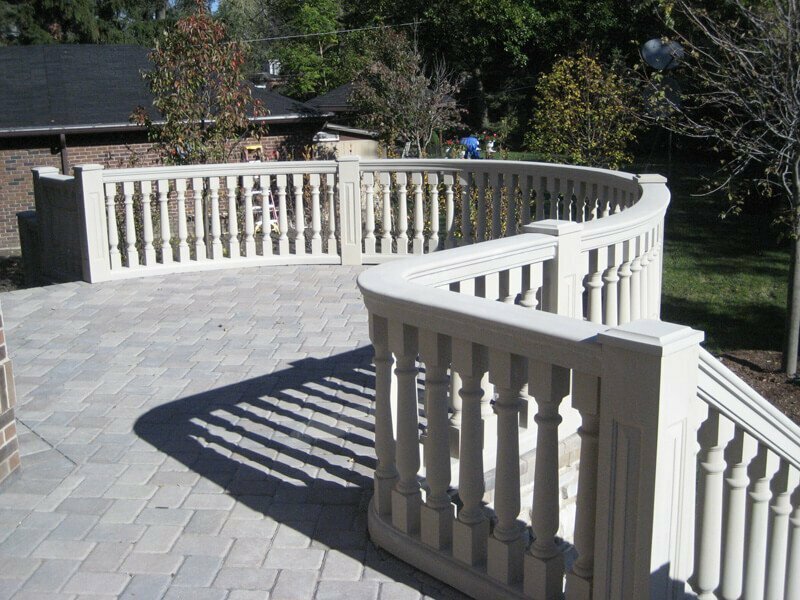 RoyalStone™ balustrades are comprised of the same material as our synthetic stone columns and so they are natural compliments. The matrix consists of UV inhibited color pigment, Calcium Carbonate, and polyester resin. The matrix in the form of slurry is poured into a mold and cast rotationally resulting in a stone-like hollow product. While hollow, the product is very robust and will withstand the elements better than its natural counterpart. If 20 to 100 lbs. per lineal foot is still too heavy, we are able to substitute lightweight filler that will decrease the weight by a factor of 2, while maintaining the same wall thickness. 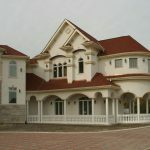 As RoyalStone™ is usually not used indoors, a class A fire rating isn’t required; however, we are able to make the product in accordance with ASTM E 84 Class A flame spread and smoke density requirements. 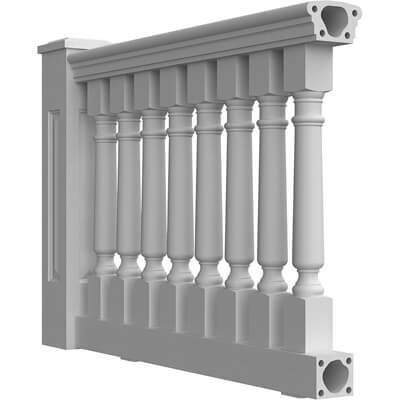 RoyalStone™ Balustrades are made up of spindles, rails, posts, caps, finials, and hardware. We offer 6 standard colors (unlimited custom colors) and 3 standard textures (textured, smooth, and coral). Typically, our products have a consistent finish to them but we can “dirty” them up by mixing in various aggregates. 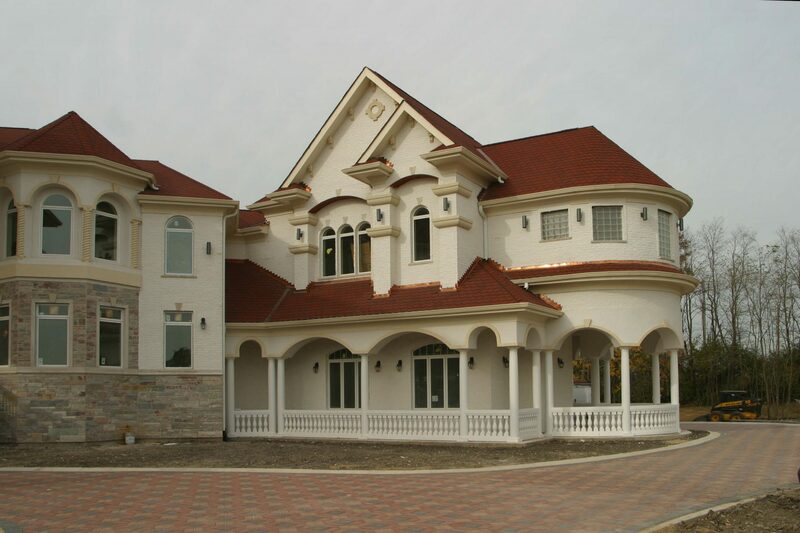 In fact, our coral finish (RoyalCoral™: a subset of RoyalStone™) has actual coral mixed in. 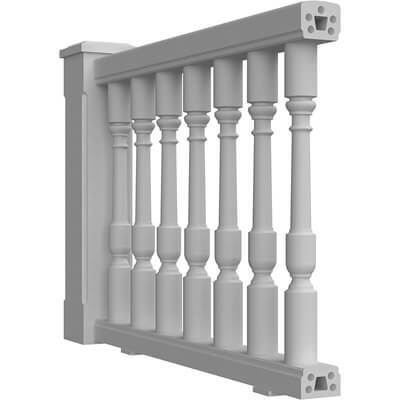 Our standard balusters measure from 1-1/2” to 7” up to 40” tall. 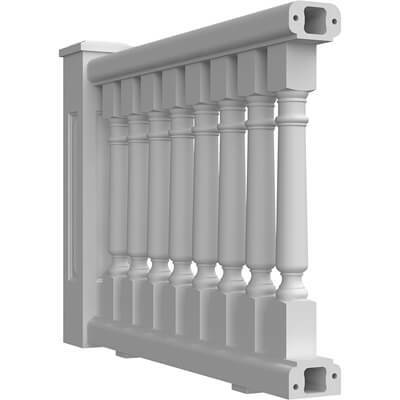 Our top rails come in 4-1/4”, 5-3/4”, 6”, 6-5/8”, 6-13/16”, 7-1/2”, and 10” system widths. Depending on the rails, some can span up to 20’ without interruption. 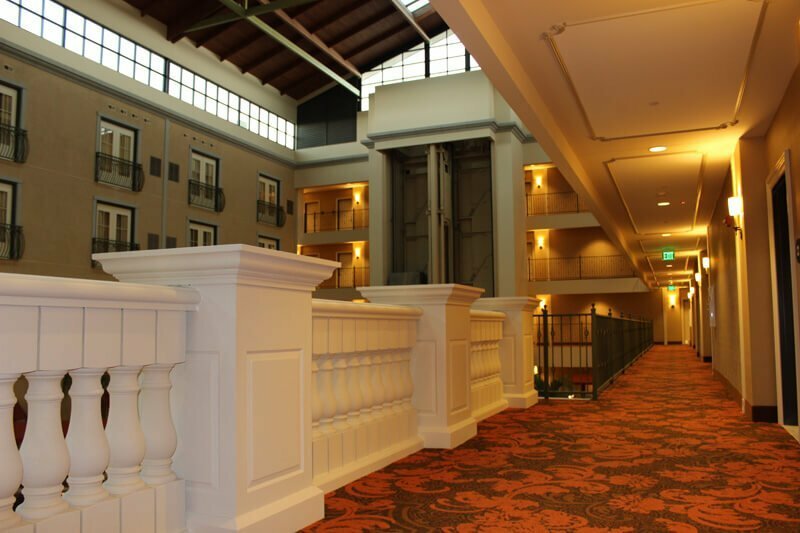 The majority of our rails and balusters can be mixed and matched to create one of the most diverse balustrade offerings in the nation. Our system heights can be as short as a couple feet but can also be tall enough to meet pool fencing requirements. 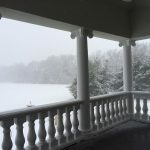 Keep in mind that we are able to adjust the heights of our standard balusters and newel posts to achieve an infinite array of styles and heights without additional cost. 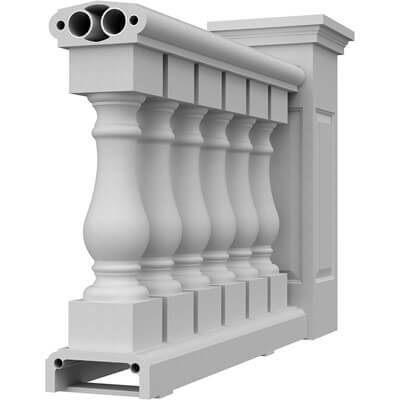 Our newel posts are available as Plain, Routed Edge, and Raised Panel and can be adorned with many styles of caps, balls, and other finials. 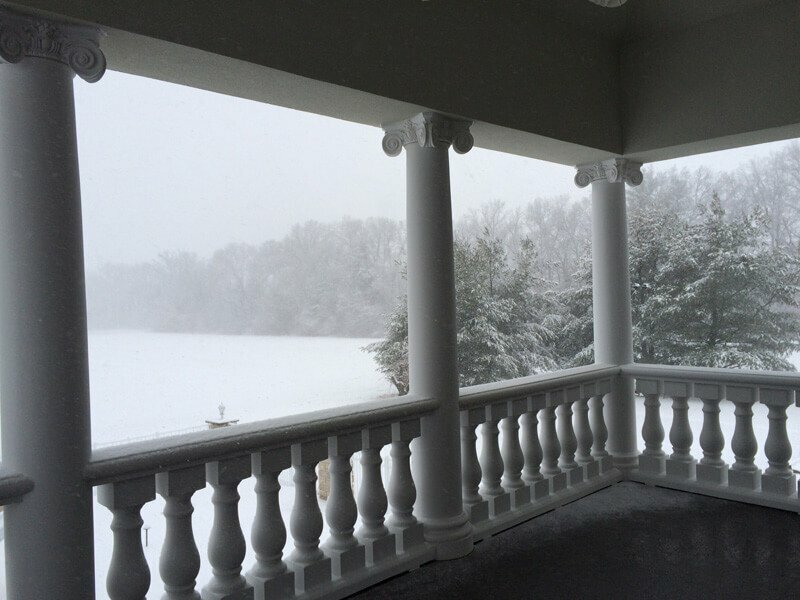 The hollow nature of our balustrade systems allows for wiring to run inside them for lighting fixtures to be secured atop our posts or on the side of our columns. System Widths Up to 10"